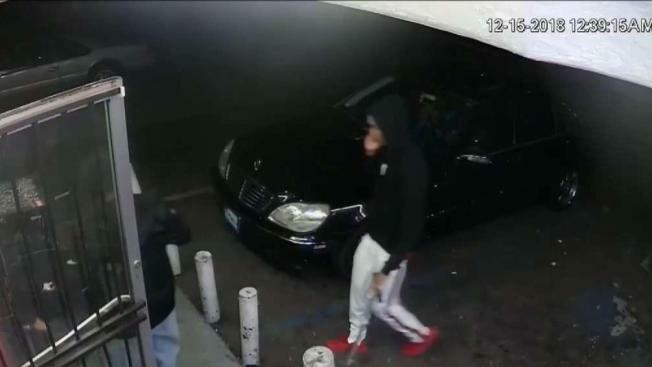 Police on Tuesday released surveillance images of two suspects connected to a shooting last month at a San Jose liquor store that killed a 43-year-old man. The Dec. 14 shooting at El Rancho Liquors, located at the corner of West Alma and Almaden avenues killed Nathan Johnson-Harper of Fresno. Police have released little details about the fatal shooting and said that a motive is under investigation. The first suspect is described as a possibly Hispanic man in his 20s with a medium build, curly medium length hair, a mustache and goatee. He was last seen wearing a black jacket, a black T-shirt and light blue jeans.